It is a thin week for new releases, especially at retail. On shelves, there's Phineas and Ferb: Across the 2nd Dimension for Wii, 3DS and PS3. On Xbox Live Arcade, Insanely Twisted Shadow Planet arrives Wednesday. • Phineas and Ferb: Across the 2nd Dimension (PS3, Wii, DS) — Sure, it's a kid's game, and a tie-in for a new TV movie based on the Disney cartoon. But it's also an action platformer that has plenty in common with Ratchet & Clank. 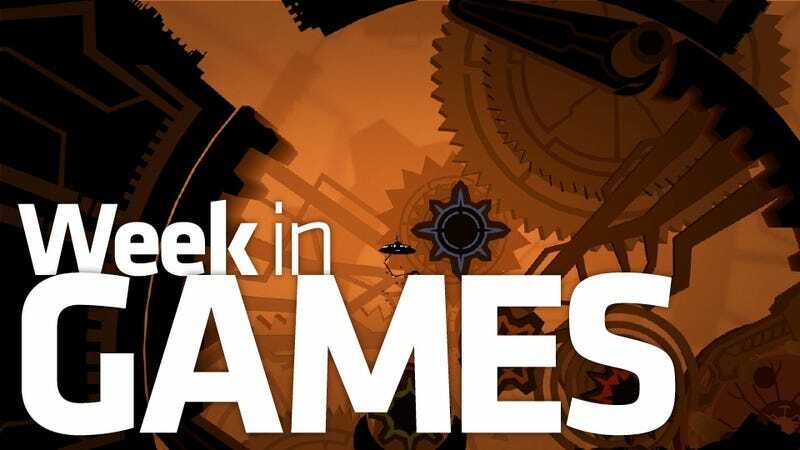 Also: LIMBO (PC); Bleach: Soul Resurrección (PS3). • Insanely Twisted Shadow Planet (XBLA) — Fuelcell's richly illustrated, pensive exploration/puzzler is the third entry in Xbox Live's Summer of Arcade. Also: Brink: Agents of Change (PC, PSN, XBLA).